The 15 medieval towers (a reminder of the 72 towers that used to rise during the period of greatest splendor) announce from far away the towns magnificence. The amazement continues after entering one of the town gates, that open in the double enclosed wall, and walking up the silent streets flanked with ancient buildings. The streets unexpectedly lead into three squares on the summit of the town, where the severe medieval buildings that surround them may be admired. towns. When reaching Volterra, the visitor is struck by its walls, partly Medieval and partly Etruscan. Among the gates that rise the most important is Porta dellArco Etrusco. 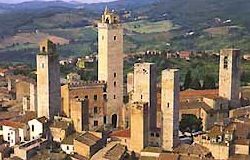 Inside the walls visitors will find memories of the proud medieval Volterra that help understand the magic charm of its beauty. 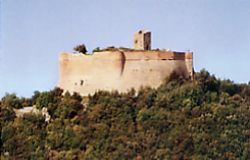 In our area of Tuscany riched in history and art and an unspoilt countryside, there is a powerful and alone Medicean Fortress ten centuries old. 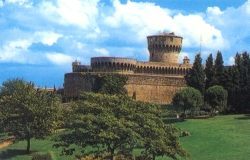 Situated on a promontory near the palace, the fortress is visible on day and it is a light source on night.